An earlier post provided an overview of our annual membership meeting held during the ALA annual conference in Chicago. This post will give more details of the discussion we had around the topics of Play and The Common Core. Rita Auerbach and I provided brief comments to contextualize the topics followed by open ended questions to provoke conversation. I attempt to summarize the trends, ideas, and observations shared by participants. Rita began this open mic session with a brief overview of the Common Core State Standards. These standards were developed at the behest of the national Governors Assn. and the Council of Chief State School Officers. The standards for English Language Arts and Literacy in Social Studies and STEM subjects as well as standards for Mathematics education were released in 2010 and have now been adopted by 45 states and the District of Columbia. Standards for Science and Social Studies are expected to follow. The Standards famously put significant emphasis on reading informational texts. They have been embraced by those who see them as an opportunity for cooperation between school and public libraries and for promoting fine nonfiction and they have been denounced by those who see them as a pretext for increased testing and commercial profit. Programming changes: Libraries are doing more hands-on STEM non-fiction-based programming to encourage kids who have not typically browsed or used these materials. More than texts: The Common Core Standards aren’t just about non-fiction texts. Any book can be a common core book. The key is how it’s taught. Declining presence of school librarians: School librarians are essential to showing kids how to interact with non-fiction texts (the pedagogy piece mentioned above). One speaker worried that school librarians are becoming “an endangered species” and wondered how to partner with schools. An interdivisional ALA taskforce has been formed to address these questions and they are planning a midwinter program on how school and public libraries can work together around the Common Core. There is a toolkit coming, resources for parents, webinars and more. The taskforce needs to hear public librarian concerns. Please share more about how programming is changing in your library, the partnerships you are forging to address the common core and any resources you’ve developed. The Read! Build! Play! initiative is designed to develop early literacy skills through play. Our partnership with LEGO DUPLO created a solid foundation to build these experiences for children five and younger. To help you construct your very own play experiences be sure to visit the Importance of Play website. This site includes many resources as well as playful programming ideas that have been field-tested by librarians. The white paper entitled “The Importance of Play, Particularly Constructive Play, In Public Library Programming” can also be found on the site. To kick off our conversation about Play, I invited the author of the white paper, Sue McCleaf Nespeca, to provide some highlights. Sue pointed out that constructive play is not just important for STEM education but for early literacy: it helps foster development of language/vocabulary (talking about what they are making). One research study mentioned in the white paper looked at block centers vs. housekeeping centers. The study found that greater verbal fluency, more complete sentences, and larger vocabulary results from block center play. Question: How have you put these parts together into successful play programs? Everyone needs play: Librarian shared the importance of including kids with disabilities–the socialization is great for ALL kids–both disabled and non-disabled. Learning in a natural environment with peers of all kinds benefits all kids. Getting active: A librarian from Canada shared ideas about including physical activity/health resources in play based programming. She wrote a grant for active play resources–includes them as part of storytime. Playful partnerships: Eastern Shores Regional Library, MD: Early Literacy Play Centers in all 25 branches and have partnered with their local children’s museum and encourage others to try the same. Check out the Association of Children’s Museums. Are there obstacles to offering playful opportunities? How can they be overcome? How does play change for older children (tweens)? 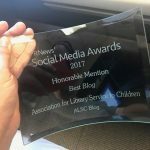 Please continue the discussion right here on the ALSC blog as comments to this post. The author of this post, Ernie Cox, serves on the ALSC Board of Directors. Your 2015 Laura Ingalls Wilder Award Suggestions? 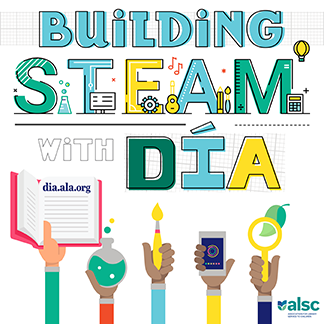 I meant to mention at our meeting that ALSC is offering a six-week online course starting July 15 entitled “Getting to the Core: Librarians and the Common Core State Standards.” Ed Sullivan is the excellent instructor. You can find more information at http://www.ala.org/alsc/getting-core-librarians-and-common-core-state-standards .